The Team GB athlete is recovering in hospital. 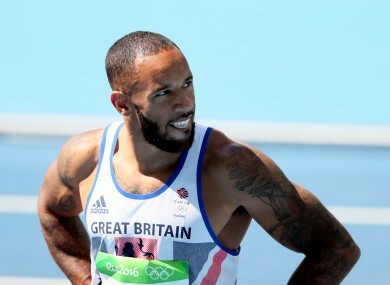 GREAT BRITAIN SPRINTER James Ellington cannot comprehend how he survived a “horrific” road accident during a training camp in Tenerife. The two-time European 4x100m relay champion was taken to hospital on the Spanish island after being involved in a collision while reportedly riding a motorbike. Ellington was with training partner and 2014 4x400m European champion Nigel Levine, the pair both suffering injuries in the accident. British Athletics confirmed the duo had sustained injuries in the incident and were “conscious and stable” in hospital, however details regarding what happened remain unclear. Ellington provided a further update on Instagram, revealing he felt lucky to be alive and determined to fight back and compete on the track. Overwhelmed and truly touched by everyone's messages and support, I truly am blessed as I do not know how me or my training partner Nigel are still alive. Me and him are both strong characters and will be looking to bounce back from this horrific accident. “Overwhelmed and truly touched by everyone’s messages and support, I truly am blessed as I do not know how me or my training partner Nigel are still alive,” he posted. Email “Olympic sprinter Ellington surprised to be alive after 'horrific accident' in Spain ”. Feedback on “Olympic sprinter Ellington surprised to be alive after 'horrific accident' in Spain ”.